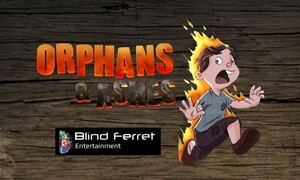 The Syrinscape "Orphans & Ashes" SoundSet brings you every scream, wail, crackle and pop of a well-and-truely burning orphanage. With 11 unique music tracks, one for each location tile, the mood of your game will keep twisting and turning as the situation grows more and more dire. Will the game end with Cale's triumphant and glorious orchestral flourish of victory, Richards dire brass and timpani chords or the all consuming chromatic disaster of the fire's final glory? Only you can make the difference! Oh, and yes, there are a whole lot of piteously whining orphans too! No orphans were harmed in the making of this SoundSet.